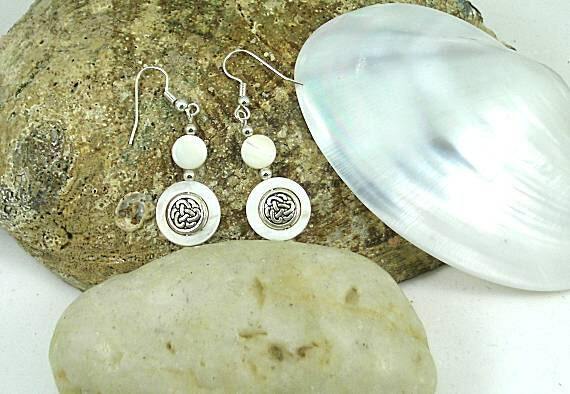 These dangle earrings have a 16mm mother of pearl frame with a 10mm Celtic knotwork flat bead inside the frame. 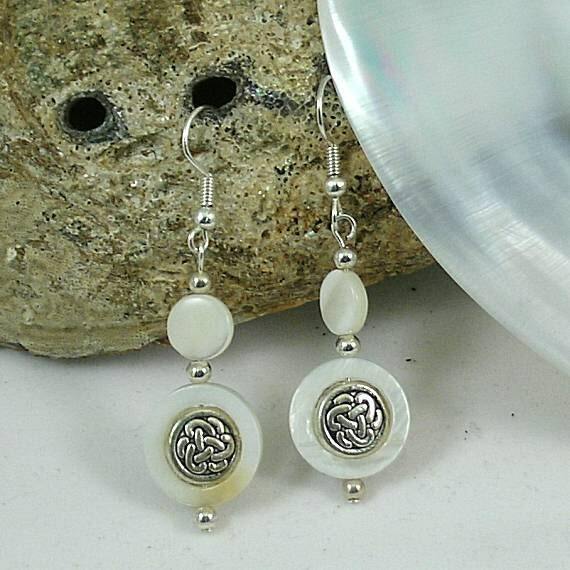 It is topped with a flat 10mm mother of pearl bead. 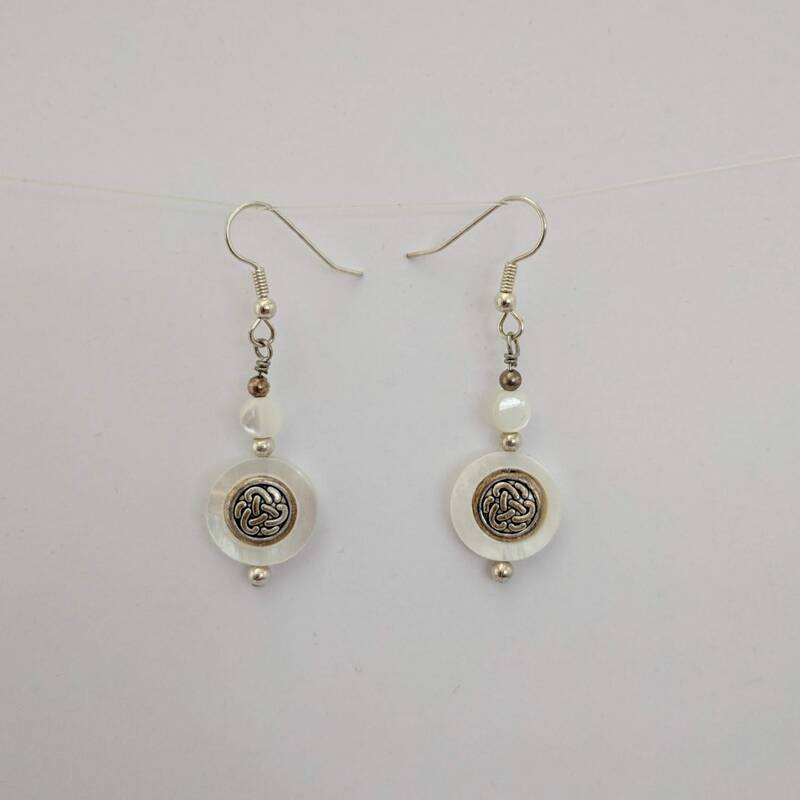 All elements are separated with 2mm spacer beads that match the surgical steel ear wires. 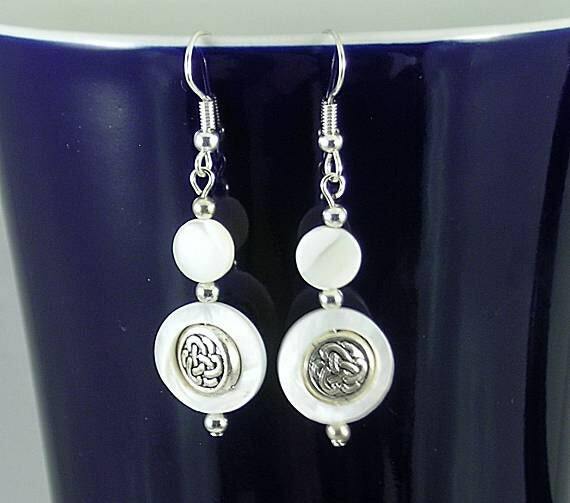 Overall the earring is approx. 40mm or 1 1/2 inches long.